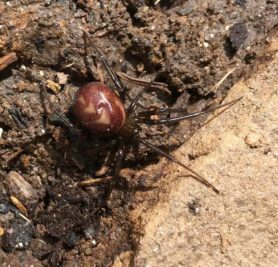 Looks like a male Steatoda spider, most likely s. grossa. A few features I see rule out cobweb spider, the tibia and tarsus for one matches the crevice weaver. This is a dark specimen, lighten the image you see the carapace and eyes match Kukulcania. Hi. 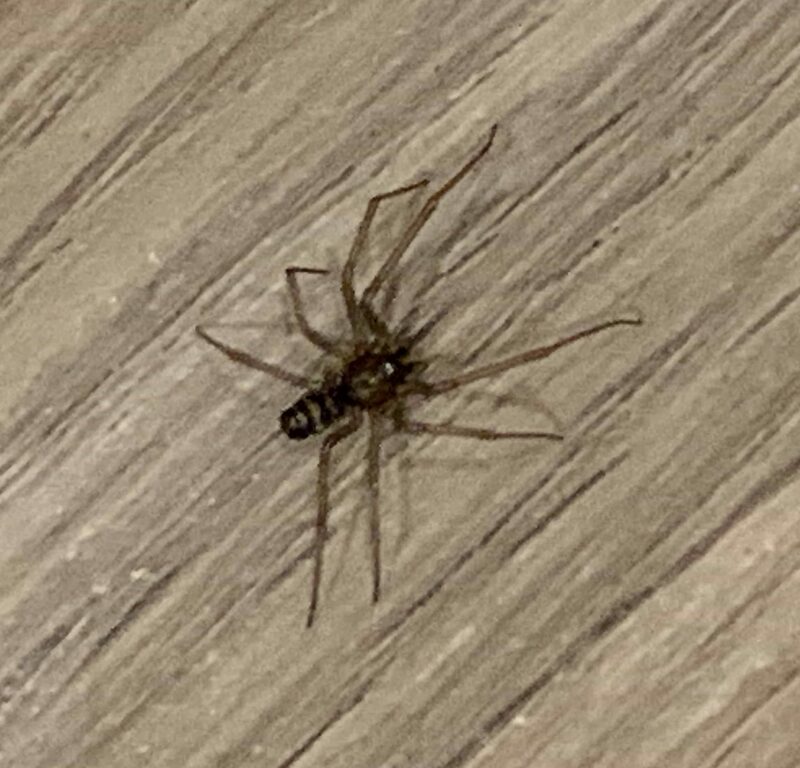 this is a male southern house spider, not yet mature. One of the crevice weavers,Kukulcania hibernalis species. They are totally harmless, not known to bite. 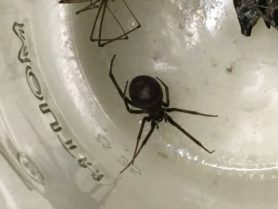 You live near Sacramento, Bay area, LA, or San Diego, a possible twin species, Kukulcania arizonica(Arizona black hole spider). A 3rd, K utahana, possible, less likely. Sometimes mistaken for recluse and needlessly killed. 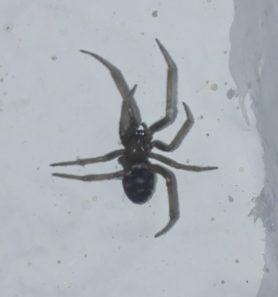 Females look a lot different and stay in their messy web and rarely seen hiding in their hole or crack. 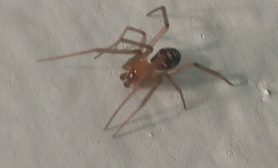 Very unique spiders, one of my favorites.